To crowdfund or not to crowdfund? This blog post has been republished from NorthPR.ca with permission from the author. Linda North is a course ambassador with University of Toronto School of Continuing Studies Certificate in Entrepreneurship program. This week in my entrepreneurship class, we discussed crowdfunding and whether or not it’s a reasonable way to fund your new business venture. Is it all hype? Is it reasonable to think you’re going to be a success story? How much do you need to promote (through PR, social media and so on) your crowdfunding campaign to get backers? Is it possible to have organic success through crowdfunding? I decided to get in contact with an old colleague of mine from Hill + Knowlton Strategies, Phoebe Stephens. I remember Phoebe as being very creative, so I wasn’t surprised when I found out she had success on Kickstarter with a new boardgame she and her sister had created, called Query the Game. 1. 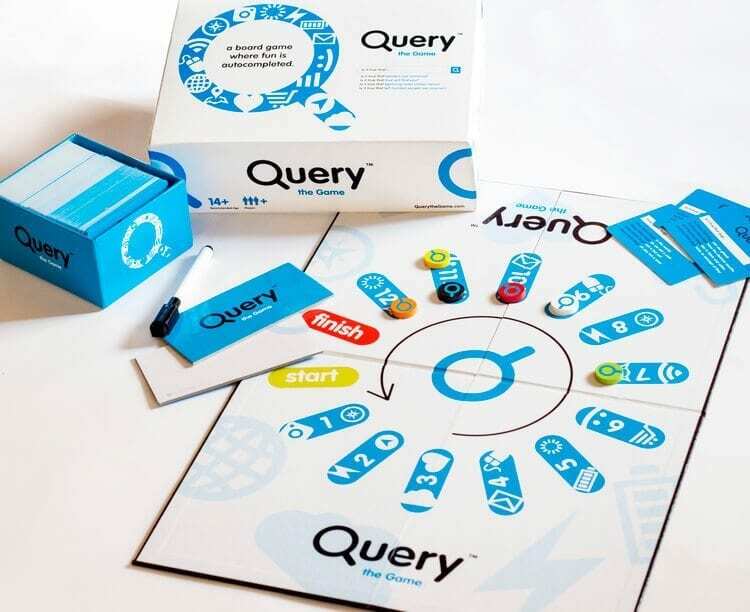 Briefly tell me about Query the Game and where the idea came from. My sister and I have always found autocompletes entertaining and we were in a habit of texting each other funny autocompletes. This quickly morphed into a quiz between us, where one of us would text the beginning of a search and the other would try to guess the answer. We had so much fun with it we thought others might too. And as far as turning it into a board game, that was a natural step—we grew up playing board games as a family and we thought this would be an easy, accessible way for people to play the game. 2. At what point did you decide to use crowdfunding site Kickstarter to try to get funding? We made this decision relatively far along in the process. We had a prototype developed and after several test runs realized that this might actually have commercial success, but we didn’t have the funds to get it there on our own. We had done some research and learned that other successful board games (such as Cards Against Humanity) had begun as Kickstarter campaigns, so we thought it was worth a try! 3. Did you look for any other financing options (for example, family, friends, debt, angels)? Yes, we did use some of our personal finances to get the project off the ground, but didn’t have enough to fund the first production run on our own. 4. You have 196 backers and raised $12,420. Why do you think your Kickstarter campaign was a success? We were really pleased by the outcome of our campaign! We didn’t know what to expect going into it. I think we did a good job of spreading the word to our social media networks (we happen to have very supportive friends!) and the concept of our game is easy to grasp and appeals to a wide audience, so I think people saw the potential. 5. Did you promote your Kickstarter campaign prior to going live and during the campaign? If so, how? We didn’t do any promotion prior to the campaign, but we researched ways to make the launch as successful as possible. The day of our Kickstarter launch we sent messages to all our friends about the campaign, posted links to our Kickstarter page on our social media platforms and on relevant sites and forums (for example, boargamegeek.com). 6. What kind of PR success have you seen since you became successfully funded? We’ve had pretty solid coverage of the game since it launched and we hope that this trend continues! We’ve had a range of tech and lifestyle media interested in our product including online, print and broadcast. One thing we did discover is that media outlets are generally not interested in covering Kicktstarter projects. They are much more inclined to write about a final product. 7. Are you concerned you may not be able to fulfill your backers’ requests? No, not at all. The main challenge is the delivery of the game, but my sister has been working diligently to make sure that all the pledges are fulfilled on time. 8. Would you recommend other entrepreneurs and/or people with a new idea use crowdfunding? Yes, absolutely. I know it’s not for everyone, and if someone is considering it they should consider that there is some legwork that has to be done in order to make it a success. Ultimately, I think it’s an incredibly valuable tool and one of the benefits of the Internet age! 9. Are there any precautions you would share with others who are thinking of using crowdfunding to financially back their ideas? I would have some contingency plans in place. What happens if you reach your funding goal faster than expected, how will you keep the momentum up? What happens if pledges are slower than expected, how will you build buzz? Be careful of what you promise, you want to be able to deliver on your rewards and provide a quality product on time. Also think about shipping costs—this is something we are learning the hard way! 10. What are your plans to continue to finance Query the Game? We have a first order of 2,500 games. Our hope is that by selling these copies on Amazon, we’ll be able to fund the next production run and any modest marketing/promotions we’d like to do for the game in the lead-up to the Christmas season. We are also working with an international distributor who will help us finance orders for anywhere outside of North America. If you have a great idea, you’re ready to do lots of legwork and you don’t over-promise returns to backers once you’re ready to go, crowdfunding can be a fantastic way to test your idea with the market. Be ready to promote it heavily on social media and hopefully amazing press coverage will follow. 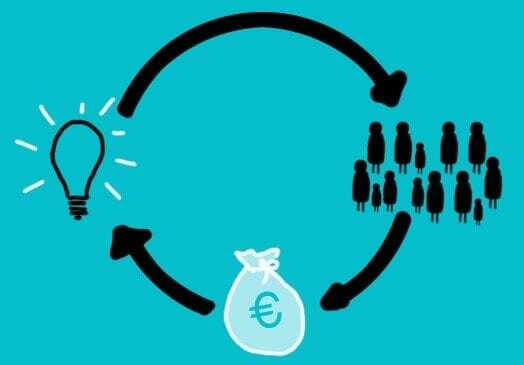 What do you think about crowdfunding? And do you think Query the Game will continue to be successful? Get updates from @EntrepreneurSCS and from course instructor @KeriDamen on Twitter, and join the discussion using #StartUpEdu.